From the time she came to the United States as a 4-year-old from Guatemala, Jana Williams has always had a fondness for the outdoors. Her family moved to Boulder City in 2000, and by 2002, at age 6, Williams was the first Junior Ranger in town. During the past 12 years, hundreds of kids have gone through the same program offered by the National Park Service. But Williams was the first to complete it at Lake Mead National Recreation Area, paving the way for future students to gain the knowledge and understanding of the outdoors. “My parents were really into camping and hiking so it just came naturally,” she said. Williams has visited 25 national parks in 13 states including California, Minnesota and South Dakota, with a little bit of Oklahoma and Illinois in between, and it’s no surprise that she credits Lewis and Clark for being her biggest influences during her Junior Ranger days. Williams said she eventually wants to pursue a physics degree in college and work as an astrophysicist for NASA. But first, she wants to travel. Now a senior at Boulder City High School, Williams played soccer, basketball and ran track. Her fastest-timed mile is 5 minutes and 56 seconds. She’s an outdoor spirit with an amicable smile that looks the same as it did when she joined the Junior Ranger Program. National Park Week is April 19-27, and the National Park Service is offering free admission to every park Saturday and Sunday. National Junior Rangers Day is April 26, where there will be water safety events at 10:30 and 11:30 a.m. and 12:30 and 1:30 p.m. at Boulder Beach picnic area. Why is it important to preserve the outdoors? Because we want our children to be able to appreciate the same things that we have. There’s something beautiful about getting outside and enjoying what’s around us and appreciating the beauty of the outdoors. 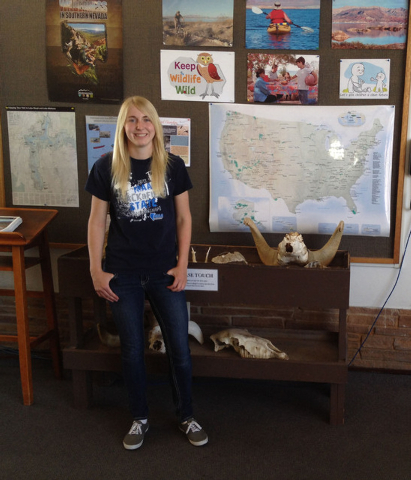 How did it feel becoming the first Junior Ranger in Boulder City? It’s really cool looking back on it. I think it’s neat that I was the first kid to start that program and now there are hundreds of kids who have gone through it. What made you want to stick with the Junior Ranger program throughout the years? I’ve had a connection with the outdoors my whole life and I’ve really appreciated the things that are around us that we can really enjoy. Whether it’s going hiking at Lake Mead, bike riding or rock climbing, there’s always something to do. I just like staying out there and showing other people that there are these types of things in our area. What’s the best thing about being outdoors in your eyes? Just discovering the world around you, and the idea of adventure. If you think about the first people to come across these lands and just see them here, you’re rediscovering it for yourself. So, you’ve been to 25 national parks. Do you have a favorite? I really like Great Basin. I really like the forest areas and they’ve got a lot of really neat water falls, rivers and a lot of places to explore. It’s really beautiful. What is your dream vacation? The outdoors? The beach? Europe? It would definitely be outdoors and it would probably be in another country. I would love to just explore the jungle somewhere. I just like that you can see a whole bunch of exotic plants, animals and the whole new type of environment. 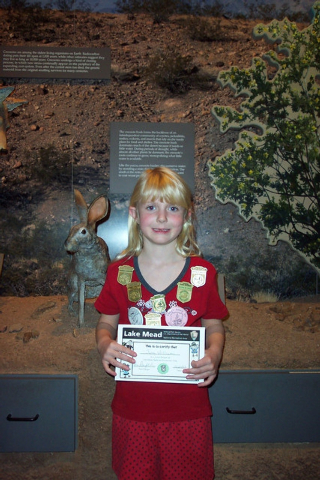 What is your proudest accomplishment in the Junior Ranger program? I would say going into schools and helping teach kids about the national parks. I just like teaching. 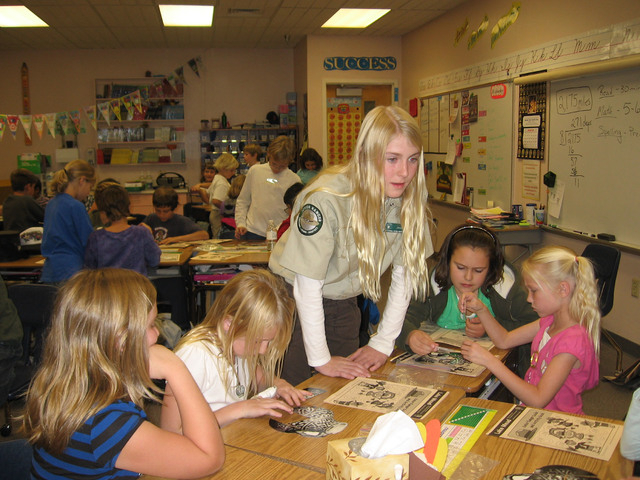 What is the one thing you hope future Junior Rangers can learn from the program? I hope they learn that you can never be too old to keep exploring, and to never limit yourself on what you think you can discover or achieve.